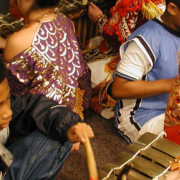 Gamelan aficionados and music educators alike with find much of interest in this great Smithsonian article on the value of music education for kids by Center for World Music board member Alexander Khalil, PhD. Dr. Khalil offers important observations on attention in children, impaired temporal processing, ADHD, and the benefits of bi-musicality. Our research has found a connection between the ability to synchronize with an ensemble in a gamelan-like setting and other cognitive characteristics, particularly the ability to focus and maintain attention. Our current work explores whether improvements at interpersonal time processing, or synchrony, may translate into improved attention. The gamelan program at the Museum School has its philosophical roots in [pioneering ethnomusicologist] Mantle Hood’s well-known concept of “bi-musicality.” Just as one who is bi-lingual must have fluency in more than one language, one must be fluent in more than one musical language to be considered bi-musical. 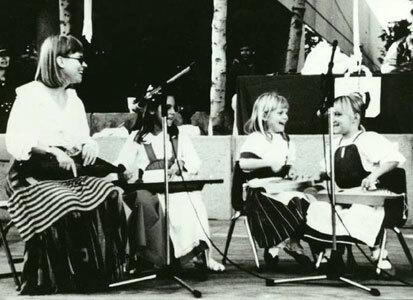 Robert E. Brown, who studied under Hood at UCLA and subsequently founded the Center for World Music, made his first efforts to bring world music, a term he is credited with having invented, to the elementary classroom in 1973 through his “world music in the schools” program in the San Francisco Bay Area. Read the full text of this article on the Smithsonian Freer Sackler website. Find out more about Dr. Khalil’s work at UCSD’s Temporal Dynamics of Learning Center. And here’s a nice video documenting the ongoing gamelan program at the Museum School. The Center for World Music is pleased to welcome Sufi Raina to our roster of distinguished teaching artists, a team of professional musicians and dancers who bring the worlds’ performing arts into San Diego classrooms through World Music in the Schools. Sufi Raina is a silver medalist in Kathak, one of the preeminent classical dance traditions of North India. She holds a master’s degree in Kathak from Apeejay College of Fine Arts, Jalandar, Punjab, where her mentor was the esteemed Dr. Santosh Vyas. She also holds a master’s in psychology from Guru Nanak Dev University, Amritsar. Trained in the Jaipur Gharana (tradition), Sufi was a lecturer in Kathak at KMV College Jalandhar for three years. During this time she taught dance as a major to undergraduate students. She also choreographed performances for the college as well as for national youth festivals. She was invited to England by the North Somerset Music Service, as a part of a cultural exchange program, to perform and teach Kathak in schools, introducing students to Indian classical dance. Sufi has choreographed many dance performances for the stage and national television in India. She was an assistant choreographer for the Punjabi film Heer Ranjha. An innovative choreographer, Sufi is also trained in folk dance forms of India. Her love for Kathak, combined with countless dedicated hours of riyaaz (intense practice), have brought her to many stages across the world, enthralling an international audience with the nuances of this classical Indian dance form. Sufi moved to Southern California in 2011. Since then, she has been actively performing in the region. 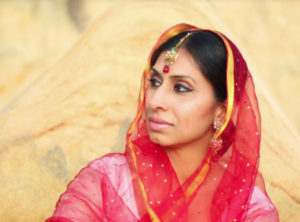 A lifelong learner and a teacher by choice, she is the founder and artistic director of Tej Dance Studio in San Diego. 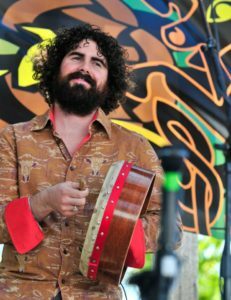 Sufi has recently taught for the Center for World Music as an artist in residence at Innovations Academy and at the San Diego French American School, as well as presenting assembly performances at Hawking STEAM Charter School and at SDFAS. What do children think about contact with music from other cultures? This article is part of the series: What children think about . . . Discover the children’s point of view about learning songs from other countries! In 1963, the Center for World Music was created in San Diego, a nonprofit organization that promotes meetings and presentations by artists from different cultures with the goal of broadening social awareness of diversity. What do you love abou music class? What do you like best in music class? 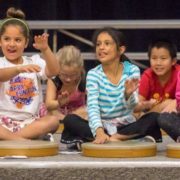 Here’s where you can learn more about World Music in the Schools! https://centerforworldmusic.org/wp-content/uploads/2017/11/Mark-Lamson-Teaching-1200x628.jpg 628 1200 Lance [Admin] https://centerforworldmusic.org/wp-content/uploads/2014/06/logo_w_red_type_52.png Lance [Admin]2017-11-19 19:27:452018-01-07 00:11:14What Do Children Think About Learning World Music? 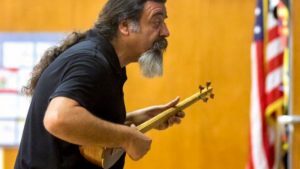 Persian master musician and CWM teaching artist Kourosh Taghavi is teaching at Highland Ranch Elementary School in Poway this fall. 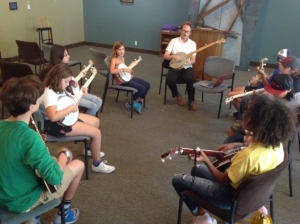 The class is part of the Center for World Music’s World Music in the Schools program, which has been reaching students in San Diego since 1999. This semester, students will learn classical Persian music, Brazilian Capoeira and Eastern and Western folk dances. 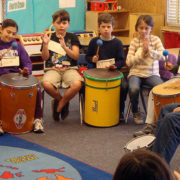 In the Spring, they’ll study Zulu percussion, Zimbabwean songs, and Brazilian Samba. It’s a good mix for a campus where the students hail from all corners of the globe. 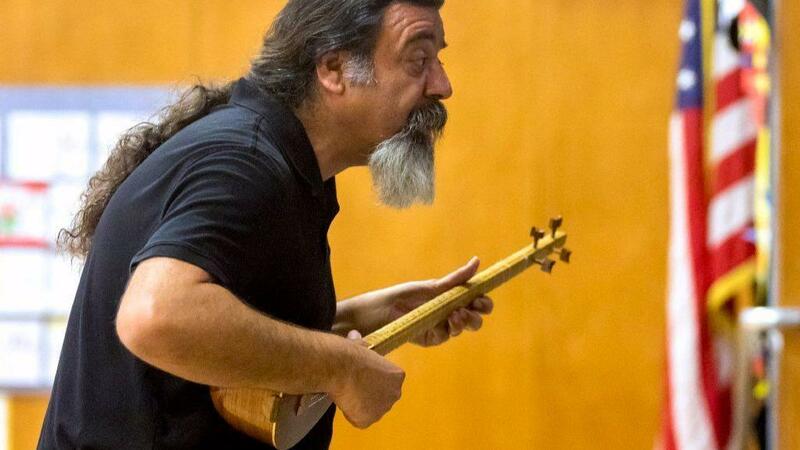 Kouroush Taghavi teaches a song while playing the Persian setar. UT Photo by Don Boomer. Music makes you a kinder person. I hope they become more gentle people, more understanding, and with open eyes, ready to experience the world that is before them. I think they will become more content when they know about each other. The students seem to agree! Read the full story at SanDiegoUnionTribune.com. A great tribute to having world music in our schools! Congratulations to Claudia Lyra, World Music in the Schools teaching artist, for earning a master’s degree in Dual Language Education from San Diego State University in 2017. Claudia has presented interactive assemblies and conducted artist-residencies for the CWM. Claudia Lyra is owner, artistic director, and teacher at BRaPA, Brazilian Portuguese and Arts, in San Diego, CA. Originally from São Paulo, Claudia grew up in the city of Londrina in southeastern Brazil. She has shared Brazilian culture in the United States since 2003. Claudia’s teaching philosophy envisions fostering well-being and joyful learning through the arts. Capoeira is an Afro-Brazilian martial art that combines elements of dance, acrobatics, and music. While giving students awareness of the physical possibilities and limitations of the human body, it simultaneously serves as a vehicle for introducing them to the history and culture of Brazil. 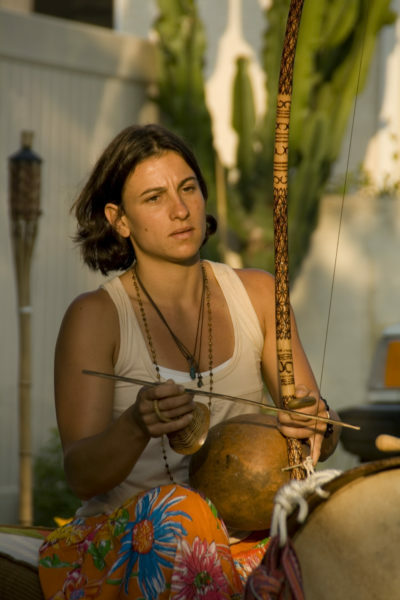 Capoeira, Brazilian traditional music, and storytelling are not just highly entertaining, Claudia believes, they are powerful tools for teaching. These art forms—regarded as cultural treasures by Brazilians—open young hearts and minds to the wonderful sounds, emotions, and values of the Brazilian culture through the appreciation and actual making of music. With a bachelor’s degree in psychology in addition to her SDSU master’s degree, Claudia has developed arts integration programs in partnership with the San Diego Unified School District. More recently, she has worked within the Coronado Unified School District. Claudia uses Brazilian cultural arts to help students develop critical thinking skills, plant seeds of self-worth and value, cultivate an appreciation of equality and promote important social skills to interact successfully with others. Claudia brings Brazilian cultural arts to audiences in schools and beyond, through her cultural assembly and residency programs called Nós de Chita. 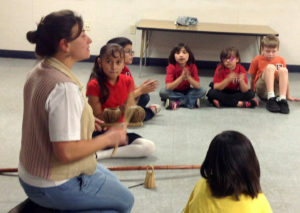 Nós de Chita offers cultural assemblies, live music performances and workshops focused on traditional Brazilian arts that incorporate key elements of the natural environment which promote awareness of climate change for students kindergarten through 4th grade. 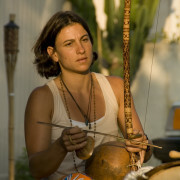 Claudia penned a fascinating and informative article for the CWM on the Brazilian berimbau. Read the article and see her video demonstration here. Merja Soria, a native of Finland, was the first Finlandia Foundation Performer of the Year in 1996. She received a master’s degree in music at Sibelius Academy in Finland and has taught Finnish music at San Diego State University and the University of San Diego. In 2003 and 2006, Ms. Soria was featured in the Who’s Who in America, and in 2005 she received an award at SDSU for Academic Excellence and Community outreach. Merja has performed at the Los Angeles Music Center, Smithsonian Institute in Washington D.C., Toronto Centre For the Arts, Peninsula Music Fair and many other music festivals in the United States and Europe. Last December Merja was the featured performer, the “tradition-bearer” at the 2016 Christmas Revels production in Washington D.C. The show celebrates the Winter Solstice, the darkest day of the year shifting toward light. The performances were seen by over 10,000 people. 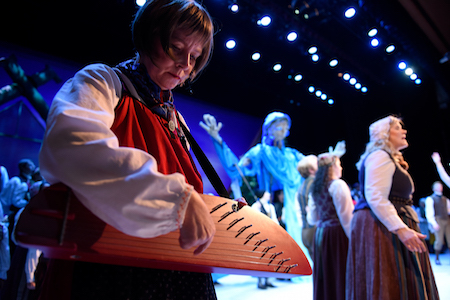 In December 2017 Merja will perform at the Christmas Revels production in Hanover, New Hampshire. Ms. Soria’s CD Arctic Silence is a selection of ancient Finnish songs. A song from Arctic Silence was featured on the National Geographic Television’s program Beyond the Movie: Lord of The Rings. Currently, Ms. Soria teaches the young children of San Diego at her own music school, Miss Merja’s Music Room. Ms. Soria is dedicated to performing the touching music of Finnish heritage. 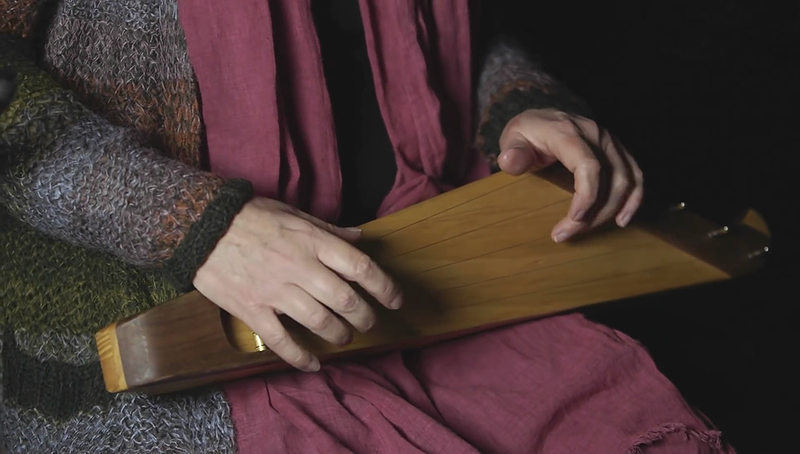 She combines the kantele (Finnish folk harp) and voice to sing the haunting songs of Suomi. 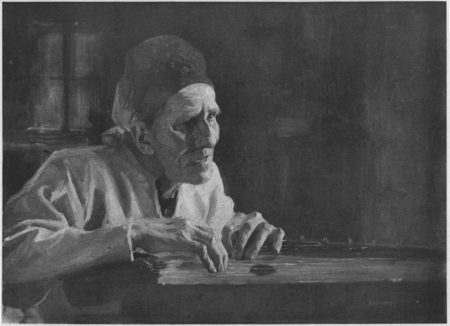 Finnish folk poetry tells that when the first kantele was played for the first time, the sound was so beautiful that everybody started to cry; when the tears touched the water of the ocean, they turned to pearls. Her vocals are so haunting, her folk songs scholarship impeccable . . . Soria doesn’t need to clutter songs with much instrumentation, her voice carries the day all on its own. 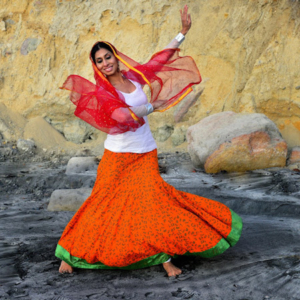 Center for World Music teaching artist Shalini Patnaik enjoys sharing her ancient art form with the San Diego community. She is one of the leading exponents in her generation of Odissi, the classical dance of northeastern India, and has a passion for teaching and sharing Indian culture through the language of dance. Born and raised in San Diego, California, she traveled repeatedly to India from a young age to learn the art form directly from dance masters in Orissa. Even today, she visits frequently for further training and performances. Her teachers include the late Guru Gangadhar Pradhan and Gurus Aruna Mohanty, Manoranjan Pradhan, and Yudhistir Nayak. Shalini and her sisters, together known as the “Patnaik Sisters,” were selected by pop superstar Madonna to choreograph and perform for a televised performance at the 1998 MTV Music Awards. She also choreographed for singer Ricky Martin’s 2006 tour. Shalini performed for Pandit Ravi Shankar’s 90th birthday celebration and for other superstars like George Harrison and Sting. Recently, Shalini was invited by Anoushka Shankar to perform as part of her “Traveler” tour. While Shalini has enthralled audiences across the globe, she truly enjoys sharing her art form with fellow San Diegans, and especially with students. Shalini and her sisters, Laboni and Shibani, have been instrumental in propagating Odissi throughout North America through performances, lecture demonstrations at universities, schools, and libraries, and teaching in the Center for World Music’s Odissi School. To share their passion for dance with others brings them immense joy; in doing so, they help preserve and propagate this rich, two-thousand-year-old cultural tradition outside of India. — Shibani Patnaik is a distinguished Odissi dancer, member of the Patnaik Sisters, and Board Member for the Center for World Music. 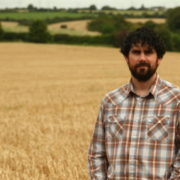 We warmly welcome Máirtín de Cógáin, who joins World Music in the Schools as a teaching artist in residence. Center for World Music artist in residence Máirtín de Cógáin is a singing, dancing, story-telling bodhrán (Irish frame drum) player, who also is a noted playwright and actor. He performs all over the United States, as well as in his native Ireland. An infectious personality, Máirtín pleasantly commands the attention of all audiences, from concert halls to intimate porches. Descended from a long line of storytellers, Máirtín is the winner of two All-Ireland awards from Comhaltas Ceoltóirí Éireann. He often tours with The Máirtín de Cógáin Project, The Fuchsia Band, or Gailfean. 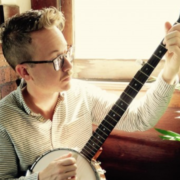 A true promoter of “the Ballad,” he searches for those forgotten songs of old and breathes new life into them, as well as writing some new songs of his own. Máirtín learned from many famous Irish singers such as Danni Maichi Ua Súilleabháin, Séamus Mac Mathúna, and Ciarán Dwyer. He is a fluent speaker of Irish (Gaelic) who was brought up in a bilingual home, and attended primary and secondary schools taught in Irish. Máirtín holds a degree in the Irish language from University College Cork. If not on stage singing, storytelling, dancing, or playing the bodhrán, Máirtín is treading the boards as an actor, notably in the film The Wind that Shakes the Barley. He has co-written many productions with the Be Your Own Banana Theatre Company, recently playing De Bogman off-Broadway in New York. 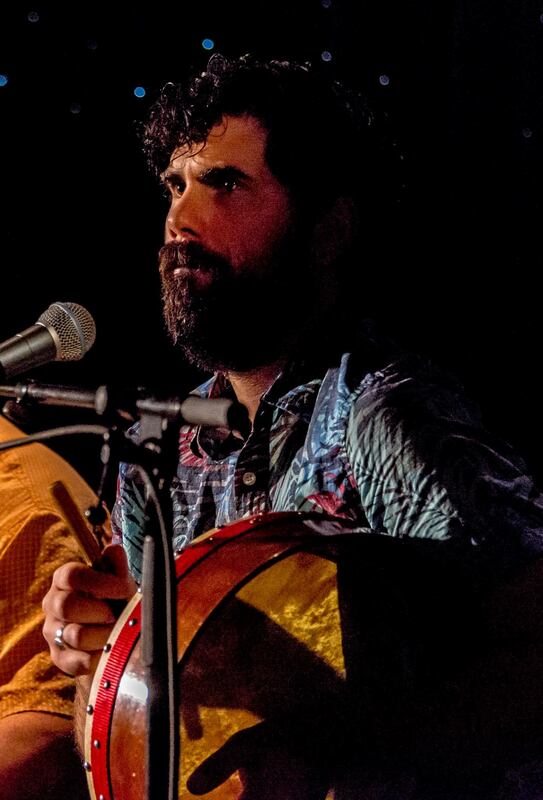 Máirtín has been playing the bodhrán for many years, learning first from Eric Cunningham (The New De Danann) and later from Colm Murphy (The Old De Danann). Máirtín has taught bodhrán technique at the Catskills Irish Arts Week, Augusta Irish Week, as well as giving workshops at major U.S. festivals including the Kansas City Irish Fest, CelticFest Mississippi, Minnesota Irish Fair, and La Crosse IrishFest. He also gives private lessons in the San Diego area and along the road while touring. 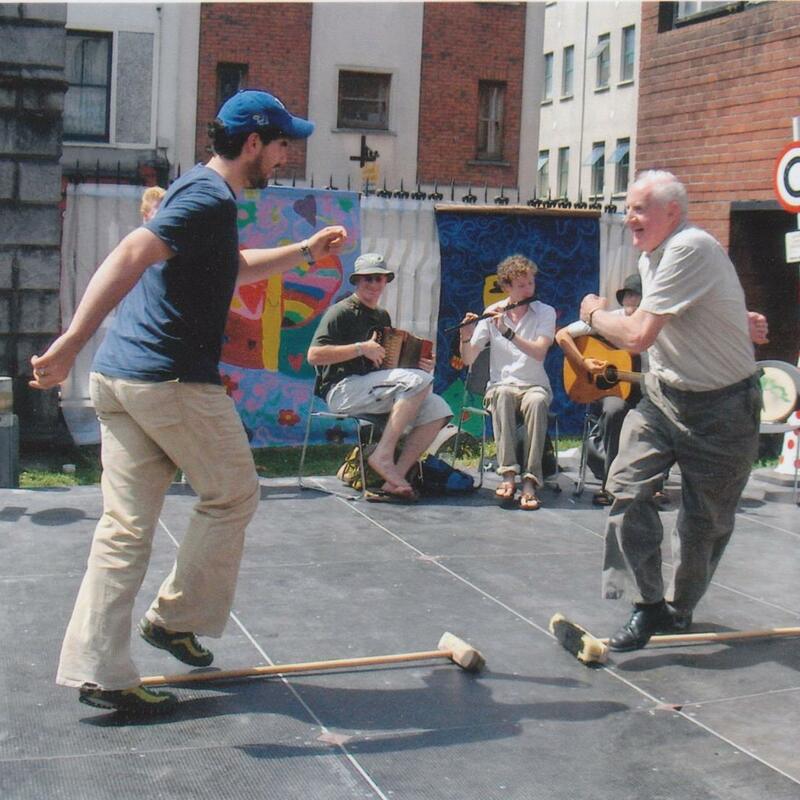 Growing up in a house full of dancing, Máirtín helped teach the steps at the family-run céilís (social gatherings) from an early age, and now teaches the folk dances of Cork to dancers everywhere. Máirtín makes friends wherever he goes. 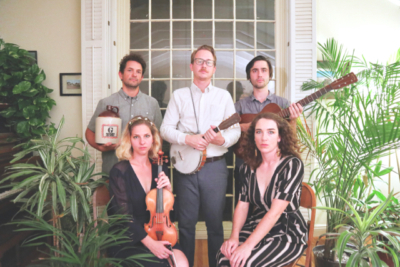 In a very short time, de Cógáin has become a regular performer at some of the most prestigious Irish festivals in the U.S. Although he can often be found leading a tour group in Ireland, or entertaining guests on a traditional Irish music-themed cruise ship, he now spends most of his time in California, where he lives with his wife Mitra and their young son, who shows great promise as a dancer and bodhrán player himself. Want to learn more about Máirtín and his career? 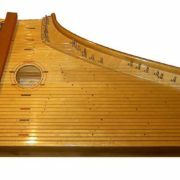 Visit www.MairtinMusic.com. You can also catch him on YouTube telling a story or singing with friends.